The Manifesto of Forbidden Truth: Forbidden Truth on morality illusion, societal crutches, Truth-based amorality, The Forbidden Truths of Humanity Exposed and Revealed! It's me again, folks, since nobody else on this pathetic planet could possibly be bold enough, confident enough, determined enough, to undertake the job of revealing all of the Forbidden Truths of humanity, the thousands of Forbidden Truths, that I have so graciously chosen to reveal within this Manifesto. Get used to hearing my voice of Truth, because at every page of this website, my brilliance will dominate, my voice will resonate, and I will never be silenced, until I die. Death silences us all, and despite my best efforts, I have been unable to come up with a Truth-based way to defeat death. Unlike you cowards, I will not resort to the embrace of insane, ridiculous, lie-based solutions to problems or to issues that tragically cannot be conquered or surmounted. Three more fascinating topics are set for dissection on this page. We shall begin with Societal Methods of Morality/Decency Illusion. It boggles my mind, and yet it is true: The vast majority of you pathetic creatures genuinely believe that you as individuals possess personal morality/decency, and live under a code of behavioral and ideological conduct that represents morality and decency. Part and parcel with this utterly insane delusion, you further believe that your society and government is a moral and decent one, that at least tries to "do the right, good, moral thing." Well, my very first essay on this page will completely tear assunder all aspects of these toxic delusions that you creatures so desperately cling to. Even though the primary focus of this essay will be an analysis and discussion of exactly how your societies deliberately and maliciously create false illusions of morality/decency with regard to their policies and ideologies and to the cultural lifestyles that they convince you citizen-slaves to adopt, there will also be a great deal of focus and discussion of the question of what morality and decency is, how these terms must be defined, from a Truth-based position, and what types of ideological and behavioral obligations every individual would need to assume and accept, in order to earn the right to consider himself to possess and live within, any type of genuine morality or decency. But I do want to make it very clear, even before this essay is begun, that Forbidden Truth doctrine very firmly decrees that no individual has any type of an obligation to embrace any set of moral principles or attitudes, in either their ideological perspective towards life, or in their own behavioral choices. It is absolutely not my purpose in this essay to promote or encourage the embrace of moral ideology or behavior. The purpose is to tear assunder the completely invalid and perversely hypocritical illusions of morality and decency that you humans and your societies illegitimately wrap yourselves within and claim to operate under, even as you pursue and commit literally the most atrociously immoral and indecent, mass, genocidal actions and policies that any living thing on the face of planet earth has ever imagined, much less undertaken as policy and decreed to be perfectly moral and decent. We will then move on to Societal Crutches. When I first made my decision to write this essay, I thought about naming it "Addictions", or "How Society Coerces Citizens to Embrace Artificial Comfort", but then the word Crutches popped into my brilliant mind, and I realized that it was the absolutely perfect word to describe the vast variety of different types of delusional, invalid "support" that societies give to their citizen-slaves, to allow them to cope with the horrors, injustices, victimizations, of their lives. Of course it could be that my sexual obsession with painful, deformed women's feet, and women hobbling along using canes, crutches, and the like, is what helped me to find this most perfect of descriptive words to title this essay with. :-) Real crutches of course, serve a very legitimate purpose. They allow a person to maintain some mobility while protecting a genuinely injured body part so that it may heal. But as I will outline in this essay, societal crutches are universally toxic, they serve no legitimate purpose insofar as helping individual human beings to recognize the Truths of life and to cope with the unjust, genocidal victimization that they are being subjected to at the hands of their society and government, in a healthy, sane, empowering, Truth-based manner that involves confronting and challenging the legitimacy and the right of their victimizing societies, to traumatize, harm, and in some cases destroy, their very lives. Finally, I will begin to more comprehensively discuss, in detail, the lifestyle paths that all genuinely Superior embracers of Forbidden Truth ideology must follow, as well as discuss some of my own personal lifestyle and ideological choices, which of course will all represent the Forbidden Truth path, since I am the Seer of Forbidden Truth. :-) This will occur in the third and final essay, titled , Truth-Based Amorality as a Lifestyle Path. We will define and discuss what it means to be amoral, how to properly define amorality, and why no genuine Seeker or Embracer of Forbidden Truth should label himself as being, or attempting to pursue an ideological life path, of either morality or immorality, because the only way to be True to yourself and to the sum total of your life experiences, is to consider yourself to be amoral, and to adopt an amoral ideology towards your own life path activities. Yes indeed folks, this page, just like every single one of my webpages, is destined to blow your mind and knock your socks off. But if you happen to be female, I would prefer to knock your sheer stockings or shoes off, as opposed to plain old socks. :-) On that rather lighthearted note, we begin our journey. We will begin with a comprehensive, detailed definitional outline of what genuine morality and decency is, with examples given of behaviors and ideologies that would Truthfully represent and display genuine morality and decency. We will then contrast and compare these examples of genuine morality and decency, which are in fact almost never practiced within human society, with the lie-based, hypocritical, fake and invalid definitions of morality and decency that are actually practiced and embraced by human society. We will discuss the malevolent societal structures within which utterly immoral policies, ideologies, and doctrine is practiced, and how these utterly immoral, indecent policies and ideologies are masqueraded and cloaked within a ridiculous veil of claimed morality and decency. Numerous examples and illustrations of immoral societal policies which maintain the cloak of morality, will be outlined and discussed. Including the ridiculous claims of societies that children are treated in a moral, decent manner, the astounding claims that societies make that their treatment of criminals, who are in fact tortured victim-creations of the inherent immorality and indecency of the society itself, is somehow morally just and decent. We will discuss other societal policies, such as the imposition and promotion of religion, which has a cloak of morality around it, because societies delude their citizen-slaves into believing that religions represent moral principles and doctrine, even though the exact opposite is the Truth. We will discuss how the giving of "charity to the less fortunate", while appearing on a surface level to be demonstrative of moral and decent intentions, is in reality completely lacking any genuine moral legitimacy, and is usually done because the individual is trying to cloak from his own consciousness the reality of his own immense greed and selfishness. We will discuss the fact that humans give charity to make themselves feel better, to assuage the guilt that they feel over the fact that in the vast majority of situations they have no moral right to possess the economic advantages that they do over the so-called "less fortunate", and even more profoundly, the core policies and ideologies of their society, which is completely immoral and indecent, are guilty of and responsible for the immoral and unjust economic disadvantages that the people giving charity pretend to be interested in atoning for. We will discuss the fundamental perversity of a society of humans being guilty of and responsible for the suffering of other living things, and yet at the same time adopting a ridiculous pretense of moral benevolence and decency that is based upon trying to "help" and aid the very same living things that the society and all of it's citizens are responsible for immorally and unjustly causing to suffer and to be victimized to the degree to where they need help and aid. We will discuss how and why humility and modesty are not moral virtues, but rather examples of the ritualistic devaluation of self that immoral and malicious societies impose upon individuals. We will discuss funerals, cremations, eulogies, and other types of ceremonies focused around the deaths of individuals, which operate under a pretense of morality and decency regarding the honoring of the dead, even though there is no moral value or legitimacy to such ceremonies or to the deceased victims of societal immorality and indecency. We will discuss, at great length, societal policies on the treatment of all different types of victims of injustice, be they children, lawbreakers, murderers, meek and law-abiding adults who were victimized as children, animals who are victimized by humans and by immoral human ideological doctrine, etc... We will discuss how virtually all of the various types of treatment policies that societies have for all of their victims, are utterly and outrageously immoral, on the most fundamental levels imaginable, tying this Truth in to the reality of how societies overtly sponsor, choose to undertake, and commit all of these completely immoral victimizations in the first place. This outrageous form of mass, institutionalized human immorality, and the fact that all victims have been targeted and affected by this immorality, places an extreme burden of moral atonement upon human society, that no treatment policy that is practiced upon any type of victim, ever even comes close to meeting. We will discuss how and why so-called "social programs", such as welfare, food stamps, disability income, soup kitchens, etc..., do not represent any valid expression of morality. We will discuss why the occasional societal repeals and modifications of malicious policy, such as changes in the degree of racist policies and how racist, discriminatory, gender-biased policies are changed in superficial ways by societies, in no way demonstrate any type of moral reform. We will discuss the perverse and sham claims of moral benevolence and superiority on a cultural/ideological level, that governments use to implant an invalid notion of moral legitimacy to the wars that they choose to initiate and/or participate in. We will discuss why all societies and governments are desperately eager to create and maintain illusions of morality and decency, and will go to extreme lengths, if necessary, to get citizens to embrace these perverse illusions. At the same time, we will discuss how in the vast majority of situations where a claim of morality and decency is made by society, there is almost no major effort required to get this false illusion enthusiastically accepted and embraced by almost all citizen-slaves, due to the fact of you creatures being desperately eager to grab and mindlessly embrace any and every type of morality illusion that is presented to you, in order to establish a false validation of the legitimacy of your own life choices, life paths, and status of being a member of society, in perceiving yourself, as an individual, as being moral and decent. We will attempt to probe the emotional and intellectual basis of the core, internalized need that most human beings have, to perceive and view themselves as being benevolent, moral, decent creatures, even as they are in fact filled with immense rage, hate, frustration, and terror, and live out their actual, real lives, displaying barely an iota of genuine morality and decency in their conduct, as they embrace and operate under the malevolent, immoral, perverse policies, ideologies, and behavioral doctrines of their immoral, indecent societies. We will discuss exactly how human beings manage to perform the intellectual contortions that are required for them to genuinely come to feel and to believe that they and their society are moral and decent, despite the fact that on a daily basis, they are confronted with literally dozens, in many cases hundreds, of different, glaring, blatant examples, demonstrations, and illustrations of the ongoing consequences of the genocidally immoral structures and policies of their societies, as well as the most basic of all Truths, that in choosing to live as members of such genocidally immoral societies, the notion that they, as individuals, possess any type of genuine morality or decency, is ludicrous. We will discuss the intertwined nature of how the vast majority of individuals, in trying to establish a delusion of personal morality and decency, must also establish the delusion that their society and government is moral and decent, and how this double-tiered delusion is much more toxic and harmful to all of humanity, than a single-tiered, personal delusion of individual morality and decency is, because the double-tiered version must, as a matter of it's design structure, include overt support for, legitimization of, and ongoing promotion/practice of, the existing, ultra-immoral policies and ideologies of society itself. We will discuss additional, specific examples of how these totally insane delusions of moral decency, result in the adoption of totally insane behavioral and ideological policies on the part of individuals, which immoral societies proceed to grant legitimacy to. These examples will include: The insane theory that children should be physically and emotionally attacked, harmed, and abused, because the person inflicting the harm is doing so "for the good of the child, to teach the child not to behave badly". Only within a society of creatures that have a completely upside-down and perversely invalid notion of what morality and decency are, could such an insane behavioral policy, to assault, traumatize, hurt, and harm children for the purpose of making the child's life better, for the "benefit" of the child, be even considered as anything other than ludicrous, much less embraced and practiced on a mass scale. The insane hypocrisy of the adult inflicting immoral and indecent behavior upon the child, for the supposed purpose of instilling within the child a sense of morality and decency, will be unveiled, and will illustrate the depth of derangement that comes with having a complete inability to distinguish between morality and immorality, decency and indecency, and even worse, operating under a belief system that very specifically has the definition of morality exactly opposite of what the True, valid, factually accurate definition is. This causes individuals, on a mass, society-wide scale, to commit immoral atrocities as a matter of regular, mainstream, everyday life, and yet to sincerely believe that the moral atrocities they commit are in fact completely moral activities, that in fact demonstrate actual morality, rather than complete immorality. We will discuss how no type of punitive punishment of a victim can ever constitute justice, or represent any type of a moral principle. We will discuss how all morality must involve a complete acceptance of responsibility by the institution that is guilty of first initiating and primarily sponsoring the victimization of the individual, with absolutely no "passing of the buck" in terms of declaring that victims themselves have some type of a moral obligation to refrain from victimizing others. We will discuss why no individual can ever have any legitimate obligation placed upon him, to adopt moral ideologies and behavioral policies that exceed the moral standard that their society operates under, and how, given the fact that no human society on planet earth currently operates under a genuinely moral structure, no human being can or should be expected to adopt any type of a genuinely moral outlook upon life and his own personal life path. We will discuss the fact that some individual human beings can and do adopt legitimately moral life paths, as they have every right to do, and yet the notion of any society or government trying to place an affirmative obligation upon any individual to adopt such a moral life path, is utterly unjustifiable. We will discuss how it is perfectly possible, and in fact extremely common, for so-called "heinous criminals" to be following a life path that is based upon a far more valid set of moral policies, than the life path followed by the vast majority of law-abiding citizens who live as loyal devotees of their ultra-diseased and completely immoral societies. We will discuss the perverse nature of "localized" claims of moral decency by societies, such as is practiced within america with regard to worldwide famine and the fatal starvation of countless millions of both adults and children, every single year. We will discuss how it is possible for every american citizen to know that simply by purchasing one less pair of pants per year, and providing that money to a starving human being, all of the fatal starvation in the entire world would end, millions of lives would be saved, and yet for american citizens to make the personal decision that it is morally appropriate to purchase the pair of pants, while successfully maintaining a personal illusion of moral decency. We will discuss how the dehumanization of "foreign" and non-human creatures allows for the creation of an utterly perverse notion of "localized" morality, within which humans delude themselves into believing that it is morally appropriate to treat various living things with varying standards of decency, even with regard to their very right to not die of something like starvation or be shot to death for pure amusement, based upon how close they live to you, which rung of ethnic inferiority they stand upon, and whether or not they are of the same species as you are. We will discuss how and why this localizing, ethnic and species-biased structure of moral decency within human society, proves beyond all rational doubt that there is absolutely no valid or legitimate structure of morality or decency of any kind or on any level, within any human society or government. We will discuss the perversity of how ultra-diseased societies like america, instead of actually saving millions of children throughout the world from starving to death every year, choose to create ridiculous charitable organizations such as "Save The Children", for the purpose of pretending to be interested in trying to save starving children, and allowing all citizen-slaves to believe that their society is moral, decent, and sincerely interested in saving starving foreign children, even though this is not true. The proof of how genocidally immoral american society is, lies in the fact that instead of choosing to actually save the lives of all starving children in the world, american society chooses to pretend to be interested in saving the lives of all starving children in the world, while actually choosing to deliberately allow/cause most starving children in the world to actually die of starvation. This is Andrew Kehoe, Tortured Victim-Creation of american society. Yes folks, I am aware of the fact that the above picture of Andrew is not exactly up to year 2001 photographical quality standards, but there is a very good explanation for this, namely the fact that the above picture was published in a newspaper way back in 1927. Yes indeed, if Charles Whitman was the father of the modern era of lone, enraged rampage american killers, and Howard Unruh was the grandfather, then Andrew Kehoe probably deserves the great-grandfather label. His life story truly is a fascinating one, and beautifully illustrates the universal themes of suffering, victimization, rage, hate, vengeance, which within the human experience, bridge all time, generational, national border, ethnic background, and other personal differences. Born in 1872, Andrew did not attain any type of criminal infamy until 1927, when he was already 55 years old, genuinely elderly if you consider the shortened lifespans of the early 20th century. And yet his rage had been simmering or decades. Growing up with 12 other siblings, Andrew's biological mother died when he was just a toddler. His daddy remarried, but Andrew did not have a pleasant relationship with her, they fought. One day in 1886, when Andrew was just 14 years old, his stepmother's stove exploded. She was set on fire. Andrew calmly stood and watched her burn for a few minutes before finally, after she was nearly dead, half-heartedly throwing some water on her. She did later die of her burn injuries, and we can legitimately speculate that Andrew may have deliberately tampered with the stove in such a way as to cause the explosion, although no concrete proof to that effect was then established, or can be established now. Settling down in the state of Michigan, Andrew gained a reputation for being just the slightest bit odd in his mannerisms and behaviors, never enough to seriously worry anyone. Like so many enraged humans, he did, just as society encoiurages it's victims to do, target animals, morally superior animals, for the cathartic transfer of his suppressed rage, in one incident beating a horse to death. Andrew won a seat on the city school board in 1926, and tried to get taxes lowered, which was not a very popular position back then, since american societal leaders had convinced most people that lots of taxes had to paid so that america could continue to grow, expand, increase it's technological and educational systems and structures, etc... The local politicians voted to build a new school, and of course Andrew, being a resident and property owner in the area, was ordered to pay extra taxes in order to fund this new school, despite the fact that he had no children, was not interested in the education of children, and wanted to simply retain the financial assets that he had legally earned and legally possessed. But of course that was not possible. Andrew was not free, Andrew was a citizen-slave of america, Andrew was obligated to allow his fascist, insanely capitalistic society, to legally rob him of his own money, to pay for something he could never use and had no interest in, the building of a school. Still a member of the local school board, Andrew was assigned the task of performing maintenance chores on this newly built school, the building of which resulted in the legal theft via taxation of his very own money. That's when Andrew hatched his scheme of vengeance. He carefully stockpiled over a ton of explosives and dynamite, then slowly began to transfer the explosives from his farmhouse to the school. He carefully ran wires all throughout the school, connecting them together and with the explosives, in such a way as to destroy the building. He ran several thousand feet of wire and when all was said and done, had over 1000 pounds of explosives secretly hidden throughout the building. At the same time, he also wired up his house to explode and be destroyed. On May 17, 1927, Andrew killed his long-time wife, bashing in her skull. The very next day, May 18, 1927, a beautiful, warm spring day, Andrew carried out his uniquely infamous killing spree, carefully waiting until just before 9 AM, soon after all the children had arrived at the school, to detonate the 1000 pounds of dynamite he had hidden in the building. Simultaneously, Andrew also blew up his home and farm, telling neighbors who heard the explosion at his home, "Boys, you are my friends. You better get out of here. You better go down to the school." Half of the very large school building was completely destroyed, but Andrew was not yet finished. About 30 minutes after the school exploded, Andrew drove up to the collapsed building in a truck filled with even more explosives. He called over the school superintendent to the truck, then fired a rifle directly into the pile of dynamite he had inside the truck, causing yet another massive explosion that killed the school superintendent, the city postmaster, as well as, tragically, Andrew himself. Nobody even knew at that point, that Andrew was the mastermind of this remarkable rampage. Fears that a foreign military power had invaded america, swept through the city. The exact murder toll that Andrew claimed is still not 100% certain, as far as I can tell. We know that 38 children and seven teachers at the school were killed, 61 other people were severely wounded. But this does not, apparently, take into account Andrew's wife, the city postmaster, the school superintendent, etc... Days later the official murder toll was put at 45. As you would expect, and as would be the case today, society and the media showed absolutely no ability or interest in analyzing the Truths of Andrew's life, the sources of his rage, in any type of manner. Instead, all the newspapers ran demonizing headlines, such as "Maniac blows up school, kills 42, mostly children." In perhaps the most fascinating detail of all, a detail which shows just how much remarkably astute insight into the True nature of humanity this "maniac" had, We now know that before carrying out this rampage, Andrew very carefully carved out a wooden sign, and carefully placed the sign on a fence at the perimeter of his property, clearly not wanting this sign to be destroyed in the explosions. It was a short message, in all capital letters, and it read: "CRIMINALS ARE MADE, NOT BORN." Yes indeed, those 5 words were Andrew's last words to the human race. This was the message that he felt was the most important, valuable, and Truthful message that he could leave to the world, to the human race, as his eternal legacy. And what a remarkable message of Truth it is! An enduring message, an eternal message, absolutely brilliant in it's clarity and insight. Five small words, that's all that Andrew needed. This message is utterly brilliant. It truly is an eternal, Forbidden Truth. It is just as True today, as we approach the end of the year 2001, as it was in the spring of 1927, when Andrew most likely created it. Criminals Are Made, Not Born. This was 100% true in the case of Andrew, and he had the remarkable brilliance to both be able to recognize this Truth and to articulate it with remarkable clarity. But even more importantly, Andrew was not simply talking about himself. He was stating a universal Truth. All criminals are made. No criminals are ever born. And all criminals are made by human society. All criminals are tortured victim-creations, made creations, of human society, human government, and the victimization, injustice, traumatization, abuse, harm, that is inflicted upon them by human society in a malevolent manner, during the course of their lives, after they are born. It is truly my honor to reprint these five words of Martyr Andrew, and to add my own few cents of Truth to his very brief but incredibly insightful five word sentence of Forbidden Truth. What is mindboggling to me, and should be to any sane thinker, is that despite the passage of almost 75 years of time, Andrew's message of profound Forbidden Truth was completely rejected and ignored back then, and 75 years later, in the exact same insane manner, the messages of Forbidden Truth that I am articulating throughout this Manifesto, including the obvious, undeniable Truth that Andrew was exactly and completely correct in his final decree to the world that criminals are made, not born, will be completely dismissed and rejected in the year 2002, just as they were in the year 1927. It is often said that the human race is "evolving", by philosophers and social commentators. But no, that is yet another lie and illusion. The human race is not evolving. If anything, it is devolving. For 75 long years, Andrew's five word message of profound Truth has existed, simply waiting to be recognized and embraced as being the Truth that it is. And for every single day of these 75 years, your society, american society, has spit in the face of both Andrew and his Truth, and the hundreds of millions of children that it has continued to brutally victimize and then to insanely demonize, if they dared to simply reflect back at their society the brutality, the harm, the trauma, the suffering, that their society maliciously chose to inflict upon them. You have had a million hours of time since the spring of 1927, tens of thousands of days of time, to simply find the tiny bit of sanity that is required to accept the Truth that american society is guilty of and responsible for making and creating all of it's criminals. Have you done so? No. You haven't even come close. You haven't even tried. If anything, had Andrew carried out this vengeance spree this past week, end of November of the year 2001, he would currently be subjected to even greater demonization by american society than he was actually subjected to in the spring of 1927. So let it be clear, you creatures are not evolving, you are devolving. You are genuinely regressing, slowly falling deeper and deeper into the bottomless pit of derangement that you spend your lives wallowing in. There is a song lyric that I like, it reads: We leave our legacy like dust in the sands of time, Let's hope the seeds we plant can carry the weight of our crimes. Andrew left us a remarkable legacy, and the seed of Truth that he planted, with just five little words, could have grown into a majestic, immovable, untouchable paradise by today, a paradise in which crime was virtually non-existent, because child abuse/torture/victimization was rendered non-existent via the elimination of insane Sacred Family Unit mythology. Instead, every single day since the spring of 1927, every single day for the past 75 years, you pathetic creatures have literally stomped upon and torn assunder the remarkable seed of Truth that torture victim Andrew so generously and selflessly graced you with. There is nothing more to say, the Truths of this Manifesto, as well as the above commentary I grace you with, speak for themselves. We will begin with a detailed explanation of exactly how the word "crutches" is applied within the context of this essay, as far as the many different types of societal crutches that exist and are used by society to offer false, invalid, perversely hypocritical, and personally harmful coping methods and strategies for citizen-slaves. We will discuss the metaphorical comparison and similarity between how real crutches work, in terms of how they support body weight and relieve pressure on an injured or crippled body part, and how societal crutches work, meeting the desperate needs of citizen-slaves to relieve the stresses and torments of real, everyday life, that societies and governments are in fact maliciously imposing upon them. We will contrast the valid and legitimate purpose that real crutches serve, with the completely invalid, illegitimate, artificial, and overtly harmful purposes that societal crutches serve. We will discuss the inherent illegitimacy of society providing such crutches to it's citizen-slaves, based upon the Truth that the malevolent, insane societal structure is itself guilty of and responsible for victimizing, traumatizing, and mistreating it's citizens to the degree where they become desperately in need of artificial crutches. We will further discuss how the fact of these crutches, which human beings born into and living within a sane society would not need in the first place, being overtly harmful and even deadly in and of themselves, makes their usage and deployment by societies all the more perversely immoral, supremely malevolent, and utterly unjustifiable. A long list of different types of societal crutches will be provided, and the exact purpose and operational design of each crutch will be outlined and discussed. Societal Crutches that will be discussed at great length will include alcohol, illegal drugs, prescription drugs, cigarettes, caffeine, the insane god myth, the use of children as crutches by their parents, the societal lie that citizens have a purpose in life that will extend beyond their own lifetimes, the afterlife myth, social programs such as the social security system, how families are designed and dynamically structured so that members can use each other as crutches, how psychotherapy is structured not to provide genuine mental health and sanity to individuals, but rather to serve as an artificial, lie-based crutch to help the individual function and cope within the existing deranged societal structure. All of these societal crutches will be analyzed as to their purpose and operational design, as well as rendered invalid via rational revelations of Truth. The fact that societal crutches are almost always lie-based, will be discussed. The fact that societal crutches are almost always overtly harmful and often fatal to the torture victims who use them, will be discussed, and the perverse manner in which these crutches are offered up by society as being appropriate, benevolent aids to the individual, will be outlined and then condemned. We will discuss additional types of societal crutches, such as gambling, lotteries, sweepstakes, how the giving of an extremely remote possibility of attaining wealth through random luck to the masses of citizen-slaves, constitutes a societal crutch that is designed to cause the millions of people who do not attain such wealth, to meekly spend their entire lives clinging to a societally imposed false hope and irrational dream. We will discuss how societal marketing of sports as a profession, within chronically poor ethnic and ghetto communities, constitutes a societal crutch. We will discuss how the insane god myth serves multiple crutch roles, not merely being used as a way to invalidly cope with the terror of death, but also a crutch that allows the individual to rationalize embracing immoral, harmful ideologies and lifestyles that society seeks to promote, by teaching citizen-slaves that the god creature will forgive them for any such transgressions simply by believing in the existence of god, and worshipping god. We will discuss how most social programs that appear to be "aiding" individuals are in reality specifically designed to keep and to trap individuals within a cycle of grinding poverty and economic oppression, while still convincing these citizen-slaves to continue seeking/maintaining employment, agreeing to serve as societal slaves as well as continuing to function as capitalistic consumers. Familial enmeshment and artificially induced obligation within sacred family units, will be revealed as a societal crutch. We will discuss how vital you creatures find societal crutches to be, and why most of you would literally collapse and become unable to function within acceptable societal behavioral and ideological parameters, if you were to be deprived of all artificial, invalid, societal crutches. We will discuss how and why the Truth of this total collapse that you would experience if stripped of all societal crutches, proves that the crutches themselves are illegitimate, toxic, and brutally harmful to you, the individual citizen-slaves, even as they succeed in accomplishing the malicious goals of your societies, to keep you brutally oppressed and inflict ongoing victimization upon you, and yet still cause you to function within the desired, lie-based, behavioral and ideological lifestyle parameters that society wants you to embrace, accept, and function within. We will discuss whether or not a few types of crutches, in certain select circumstances, including crutches provided by society, may indeed serve a legitimately useful and non-malevolent purpose, and yet at the same time we will focus upon the fact that the vast majority of all crutches, most especially crutches that are overtly provided by society, are completely illegitmate and genuinely malevolent in terms of both their purposes, and the personally negative consequences that come with embracing and using them. We will discuss how and why the human plagues of self-loathing, core emotional perceptions of personal worthlessness, cowardly lack of ability to recognize, accept, and embrace the Truths of life, all character failures/flaws that society itself is primarily responsible for inducing/causing within citizens, make the societal deployment of malicious societal crutches not only very easy, but absolutely essential in terms of maintaining the functionality of the existing deranged and illegitimate social/government system/structure. We will discuss how the intrinsic and instinctual, albeit brutally suppressed and stifled human desire to live, to enjoy freedom of movement and other illusions of personal autonomy, and to avoid being subjected to intense ridicule/condemnation at the hands of other human beings, as well as to avoid suffering harm, pain, or life endangerment, is viciously exploited by society and government, via the specific offer and imposition of societal crutches. We will discuss the concept of "addiction", how it is defined by society, and the incredibly varied and diverse types of addictions that exist within the human experience. We will discuss how and why societies very specifically and deliberately choose to literally instruct, encourage, and aid their citizen-slaves into becoming addicted to all sorts of different things, ideas, myths, images, etc..., as well as mind-altering substances, for the specific purpose of causing citizens to become dependent upon these societal crutches. We will discuss how the entire concept of addiction, as well as how it is imposed upon individuals, makes addiction itself, not merely the different specific types of addictions, the single most widespread and universally employed societal crutch. We will discuss the differences between physical addiction, emotional addiction, and intellectual addiction, outlining in detail the brutally harmful nature and consequence of all addictions, and the fact that as a general rule, the addictions that society chooses to decree as "illegal" and undesirable, are generally somewhat less horrific in the negative consequences to the individual that they carry, than most of the addictions that society chooses to overtly decree as legal and openly promote. We will discuss how and why societies have no genuine interest or desire to stop/prevent individuals from embracing illegal addictions, and how the pretense that societies adopt, in declaring such addictions to be undesirable, is in fact absolutely that, a purely lie-based and insincere pretense. We will discuss how some of the most toxic and genocidally harmful types of addictions, primarily those that are emotionally and intellectually based, rather than physically based, are not even recognized or properly labeled as being addictions, things like praying to god, addiction to the myth that a god creature exists, etc... We will discuss the incestuously toxic link that exists between all addictions and all societal crutches, and analyze whether there is a genetic malformation within humans that makes them susceptible and vulnerable to developing addictions, or whether addictions are primarily induced and caused by overtly deliberate societal encouragement, societal policies and malicious lifestyle structures that are imposed upon individuals. We will conclude that even though there may be a minor genetic malformation component, the vast majority of all addictions are caused by the viciously harmful promotion of addiction to individuals by societies, and the completely unnatural and incredibly stressful lifestyle paths that societies and governments coerce and compel the vast majority of their citizens to accept and embrace. We will discuss whether or not it is possible for individuals to break free of all toxic societal crutches, and how the malicious imposition of literally hundreds of different societal crutches by society, upon each and every citizen-slave, absolutely constitutes one of the most brutal forms of universal genocide that exists within the human experience. 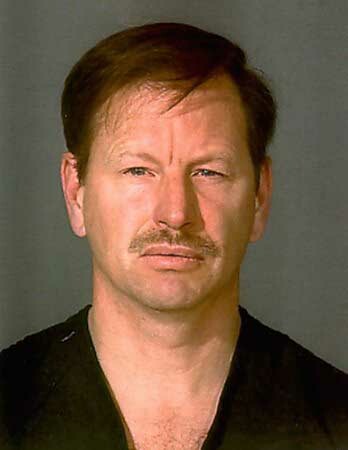 This is Gary Ridgway, tortured victim-creation of american society. Just recently arrested, late November of the year 2001, and now believed to be the infamous early-middle 1980's Green River Killer of Washington state, Gary reveals to us how easy, relatively speaking, it is for a determined, self-loving individual to seek and claim a powerful degree of personal vengeance, while at the same time successfully protecting himself from the attempts of society to further victimize him via unjust, punitive types of punishment. None of us are invincible, in any aspect of our lives. And yet as superior, self-loving embracers of Truth, we owe it to ourselves to protect, value, honor ourselves at all times and in all ways. The fact that life is pointless and meaningless, and that all of us, no matter how Superior we may be, are doomed to die and almost certainly, barring a cryogenic preservation followed by successful reanimation, suffer the absolutely horrific consequences that death brings with it, must not be allowed to impact the love, value, respect, and protection that we owe to ourselves. So many societal torture victims betray themselves, destroy themselves, genuinely align themselves, insanely, with their greatest enemy, literally collaborating with the society that is guilty of and responsible for their past and current victimization, for ongoing, current and future victimization. This is a tragedy of immense scope, a personal betrayal of self. Let us honor victims like Gary Leon Ridgway, not necessarily because they sought and claimed personal vengeance, but more because they deliberately tried and succeeded, at least for awhile, in minimizing the ability of their evil societies to try and inflict additional, further victimization upon them. We will begin with an even more detailed definitional analysis of the differences between morality, immorality, and amorality, very specifically focusing upon how and why, for all individual human beings, an embrace of amorality as a lifestyle path would and does represent and exemplify an embrace of personally reflective Truth, in a way that an embrace of either morality or immorality as a lifestyle path, simply cannot deliver in a Truth-based manner. We will discuss the profound illegitimacy of adopting an overtly moral lifestyle path, if in fact you have been born into and raised up within a society that is structured along completely immoral standards, guidelines, and principles. At the same time, we will also discuss how and why a strident embrace of universal, blanket immorality as a lifestyle path also does not represent a courageous, insightful path of Truth, even if the individual was born into and raised up within a completely immoral society, based upon the fact that a blind, philosophically unanalyzed lifestyle path that simply reflects personal suffering, is, all by itself, a betrayal of self from a philosophical perspective, even if it is accurately reflective in terms of personal life experiences. We will discuss how the embrace of amorality very specifically requires individuals to analyze the reality of both their own lives and the design structures of their societies, from an open-minded, intellectually independent position, that is Superior in nature. We will discuss the fact that while for most individuals the embrace of a moral lifestyle path represents an outright rejection of personal Truth, and the embrace of an immoral lifestyle path represents a blind acceptance and philosophically shallow/immature immitation of the immense immorality of the society that they were born into and raised up within, the embrace of an amoral lifestyle path is completely different, far superior in nature, and based upon general Truth, personally reflective Truth, and independent, philosophically valid, analytical insights and realizations. We will debunk and expose the invalid definitions that societies apply to the words moral and immoral, specifically as applies to personal behaviors and perspectives upon life, and personal entitlements as regards life activities. We will discuss why the embrace of amorality as a lifestyle path must also include a genuine and deeply profound embrace of all Forbidden Truths, in order to be genuinely valid and to result in a Superior life path. We will discuss the notion of "moral standards", of both conduct and ideology, as defined by society, and comprehensively outline why, because all of human societal structure is completely lacking any and all genuine standards of morality in both behavior and ideology, the notion that a currently existing human society can even possess or be based upon any legitimate moral standards, much less have the authority to try and convince any of it's citizen-slaves to accept, embrace, and observe moral standards in their personal behaviors and ideological/philosophical perspectives on life, is completely ludicrous and ridiculous. It will be explained why amorality is not necessarily a more benevolent lifestyle path, when compared to immorality as a lifestyle path, but it is a more Truth-based, philosophically based, and emotionally neutral lifestyle path that is based more upon intellect than upon emotion, and why all of these factors serve to make it a Superior lifestyle path to embrace, in comparison to the embrace of an immoral lifestyle path. We will detail and discuss several situations that seem to present "moral dilemmas", analyzing each situation from all moral and lifestyle path angles, and discussing the various behavioral and philosophical options that exist to address each moral dilemma, and why the response that is amorally based, represents the most honest, unbiased, and reasoned response. We will outline, in great detail, some of the basic tenets of an amoral lifestyle path, including not interfering in the chosen activities of others, never placing any judgement upon the so-called "right" of anyone else to act and behave in whatever manner they choose to, never imposing any value judgements upon the behaviors of others, never taking any specific side within a dispute, argument, or battle that does not directly involve you, never feeling obligated to either help or hurt anyone, based upon external, societally induced decrees, commandments, or cultural doctrines. This last tenet will be discussed in tremendous detail, with many different examples and hypothetical scenarios dissected. For example, we will discuss what obligation, if any, an individual who has embraced an amoral lifestyle path may have, to either help, hurt, or ignore an injured and physically helpless fellow human that they stumble across in a very isolated area, who begs them for help and is in need of aid. Along this same vein, we will discuss whether it is possible for an executioner, or for a military soldier, to embrace a Superior lifestyle path of amorality, while being employed and compelled by their immoral society to carry out acts of murder. We will discuss how and why, even though an amoral lifestyle path offers the greatest degree of personal, individual, Truth-based behavioral and ideological freedom/autonomy to individuals, there are still certain behavioral and ideological options that directly contradict the philosophies of Truth-based amorality, that they cannot be chosen and embraced if an individual desires to live a legitimately amoral lifestyle path. We will discuss one of the most primary and profound philosophies of the amoral lifestyle path, namely, the Sacred importance of trying to treat other living things in an accurately reflective manner, consistent with how your yourself, as an individual, have been personally treated, together with the sum total of all societal/cultural/legal/pseudo-moralistic policies of treatment that the human society that you were born into and raised up within, authorizes, operates under, and inflicts upon both you and the general public. This will be a key point, and it will reveal the genuinely reflective freedom and Truth within which the Amoral Lifestyle Path operates. For example, within a human society that authorizes and inflicts child abuse upon children, the notion that any individual member or creation of this society has any type of moral obligation to refrain from abusing children, is utterly ridiculous and insanely hypocritical. At the same time, no individual member or creation of such a society has any immoral obligation to abuse children, either. All individuals do have an amoral entitlement to either abuse children in reflection of and as reflective victims of the immorality of their society, as well as an amoral entitlement to adopt a position of moral superiority to their immoral society, and refrain from abusing children. Both of these amoral entitlements are equally valid, and carry no moral or immoral labels. We will discuss at length the philosophical Truths behind the embrace of Superior Amorality as a lifestyle path. We will discuss how and why the factual reality of all human societies operating within completely immoral behavioral structures and ideologies, absolutely gives all individual members of and victims of human society, the personal right to commit actions that societies invalidly have the hypocritical gall to label as being both immoral and completely unacceptable, even though in reality such actions meet all societal standards of morality, and are completely acceptable, based upon the very behavioral and ideological standards that society itself chooses to engage in, legitimize, and promote, while hypocritically refusing to admit to doing so. We will emphasize that the Amoral Lifestyle Path is always based upon Truth, personal and Forbidden Truth, as well as personal Reflectivity of experience, and is therefore always a morally superior lifestyle path, when compared to the immoral paths, masquerading as moral paths, that all societies themselves operate under, since all societies are maliciously lie-based and hypocritical in nature and design. We will discuss why even in situations that involve murder, torture, violence, child abuse, the actions undertaken by the individual who has embraced an Amoral Lifestyle Path, are always morally superior to the mainstream morality levels under which societies themselves operate within, because societies operate within an overtly immoral, rather than amoral framework. Notwithstanding all of the above Truths, we will also discuss how and why some individuals are legitimately entitled to pursue a life path that is overtly moral, despite the fact of having been born into and raised up within an immorally structured society. We will discuss the extreme difficulties that such an effort involves, focusing upon the need for the individual to be able to recognize what constitutes genuine morality, a task made very difficult by the fact that their lie-based society overtly and perversely decrees numerous totally immoral doctrines and ideologies, as representing morality and moral action/philosophy. We will discuss the importance of adding up and analyzing the sum total of one's own personal life experiences, in making the uniquely personal and profound decision as to whether to pursue a moral, immoral, or amoral life path. We will conclude that regardless of how malevolently immoral a society may be, it is perfectly legitimate that a few individuals born into and raised up within the society may and will pursue a legitimately moral life path, while at the same time we must recognize that such individuals do not deserve and are not worthy of being judged as being superior examples or appropriate/ideal role models that those individuals who pursue an immoral or amoral life path would do well to emulate. We will discuss the fact that within immoral societal systems, there is absolute equality and parity within the morality levels of all individuals, and no claim or demonstration of so-called moral "superiority", if it is made in comparison to the moral standard of any other individual, has any legitimate validity. We will discuss the importance and value of narcissism, self-love, and self-acceptance, within the pursuit and embrace of an Amoral Lifestyle Path, and the personal obligation that every individual has to himself, to place himself and both his own personal Truths as well as the general Forbidden Truth of life, above all else, as they embrace, develop, and express, via behavior and ideology, a path of personal, philosophical, amorality throughout the course of their life journey. As always, feel free to e-mail me with your comments, but do not expect any type of a reply, most especially not if your e-mail is critical, much less hostile. I recognize the Inferiority of the vast majority of you creatures, I recognize that at best, perhaps 1 human out of 100,000 can be expected to appreciate the profound Truth and brilliance that has been expressed at this web page by your Seer of Forbidden Truth, and I will not waste any of my time in exchanging e-mail with Inferiors. An important reminder: Please take careful note of the Copyright information that appears at the very bottom of this page, and at the bottom of every single one of my web pages. This notification/warning is very clear and if any of you creatures have any doubt, you can rest assured it will be completely and positively enforced.